Marissa Michelotti, who summarized how you’ve favorited, followed, and cited your inspiration in Tableau Public this year. Josh Tapley, who created a viz that helps you see your top Tableau Public vizzes from 2018. Andy Cotgreave, who shared three standout Tableau Public vizzes from 2018. With all these great recaps circulating (seriously, check them out!) we knew we needed to step in. But with over 550,000 Tableau Public authors and 1.7 million Tableau Public vizzes, summarizing the year is no small feat! So how did we decide to recap 2018? 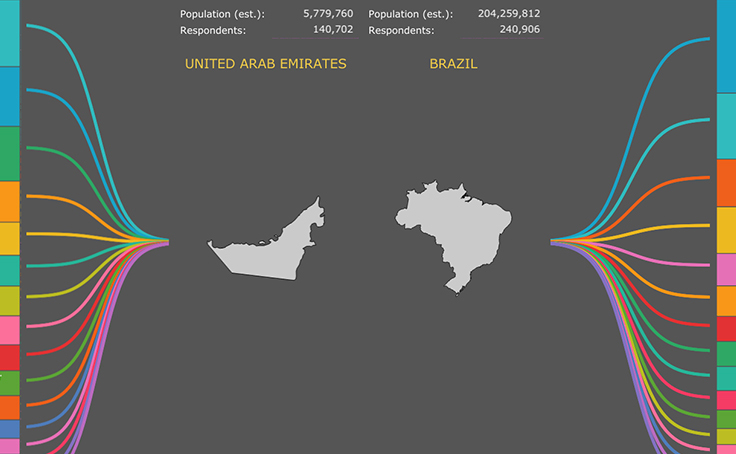 Our Viz of the Day gallery represents the many different ways we use Tableau Public. How? 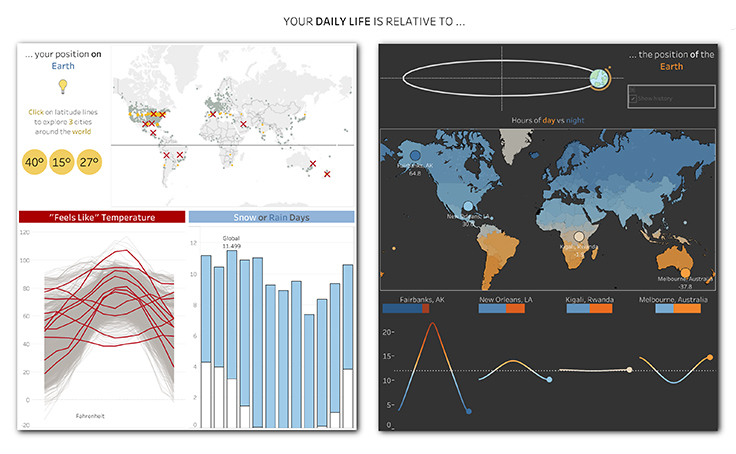 Every day, the Tableau Public team selects and features a Viz of the Day (VOTD). We might choose a viz as VOTD for many different reasons. The viz might tell a clear and compelling story. The viz might be visually stunning or include an innovative chart type, helping the world learn what’s possible with Tableau. Or, the viz might come from one of the community’s amazing social data projects or dataviz competitions. We thought VOTD would be a perfect lens through which to view 2018! The following are VOTDs from each month, which we’ve selected by determining which viz you viewed most in our Tableau Public gallery. Read about each one, then click on the thumbnail to see the viz in full! Nitin Paighowal visualizes the world's "Coffee Bean Belt," the area where the most coffee is produced. 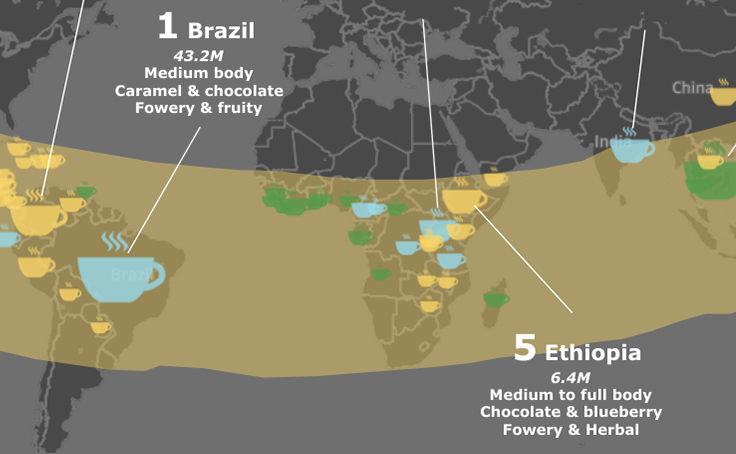 He shows which nations produce the most coffee, and the coffee varieties each nation produces. An energizing start to 2018! Did you catch cryptocurrancy fever in February? 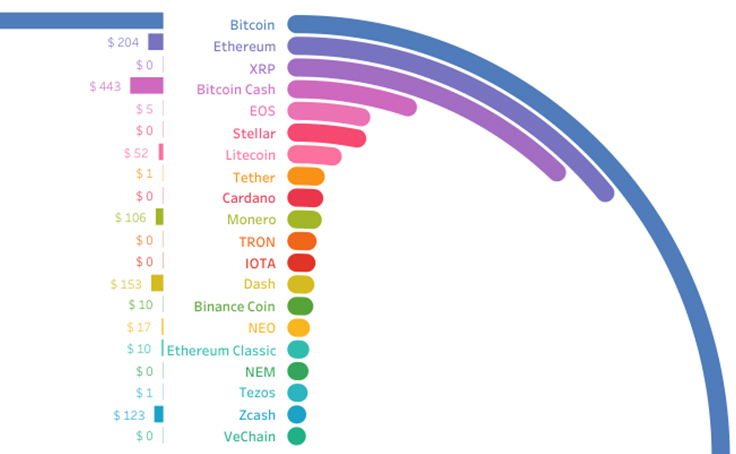 Dive back into the state of the market, seeing how TangibleVitz compares cryptocurrencies by their value and supply. The Tableau community continues to showcase how data can make a difference. 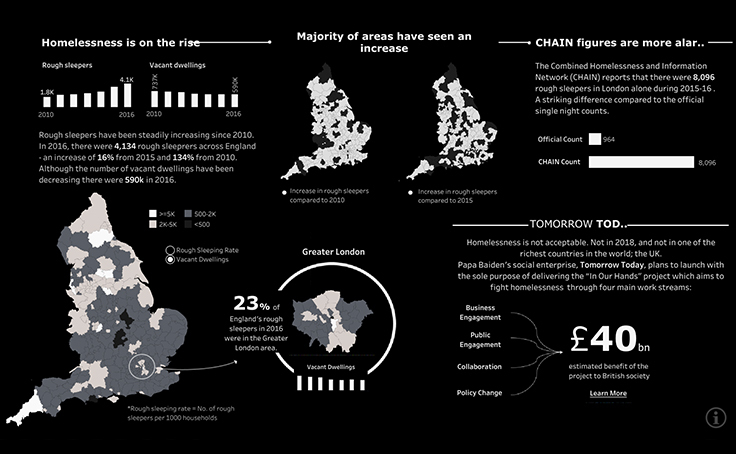 In March, Kizley Benedict contributed to #VizForSocialGood and visualized the state of homelessness in the UK for the nonprofit Tomorrow Today. Check out other #VizForSocialGood submissions and pledge to participate in the new year! Sarah Bartlett's viz on European tourist destinations was one of three Iron Viz Europe feeder competition winners, earning her a spot in the inaugural Iron Viz Europe Championship. Sarah's viz also uses the Viz in Tooltip feature— can you believe this feature was just released in 2018? Do you know your personality type? What about the personality types most common in your country? In May, Bert Tseng dove into survey data to help us understand the personality mixes of various countries. 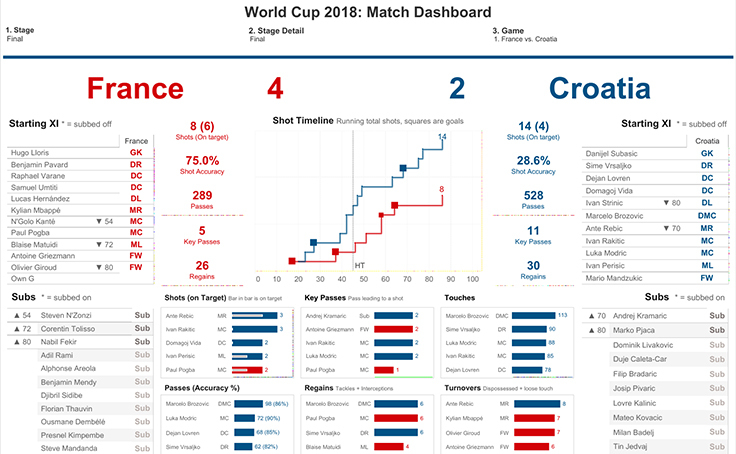 The 2018 FIFA World Cup brought a slew of sensational sports visualizations to Tableau Public (have you checked out the Sports + Data Gallery? Revisit the lineups, match statistics, and results from the 2018 FIFA World Cup with this viz from Ravi Mistry. Be sure to note Ravi's use of step and jump lines, another feature new to Tableau in 2018! 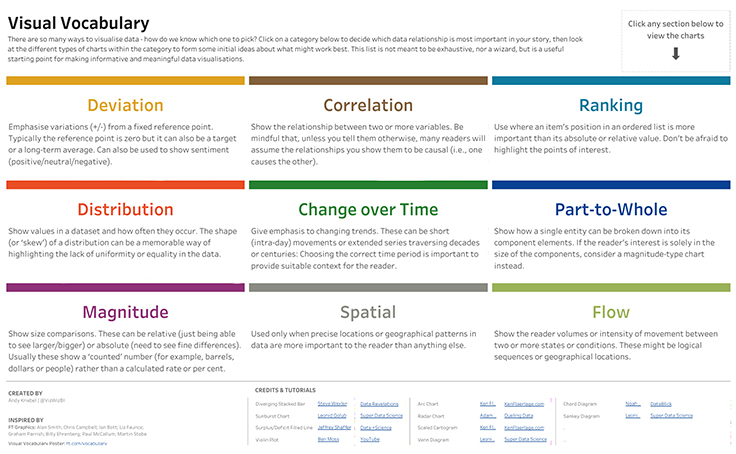 This viz by Andy Kriebel is now a staple amongst the Tableau community, helping newcomers and experts alike understand the optimal visualization type for their data projects. Learn more about why Andy created this valuable resource in our recap of his talk at Fanalytics 2018. 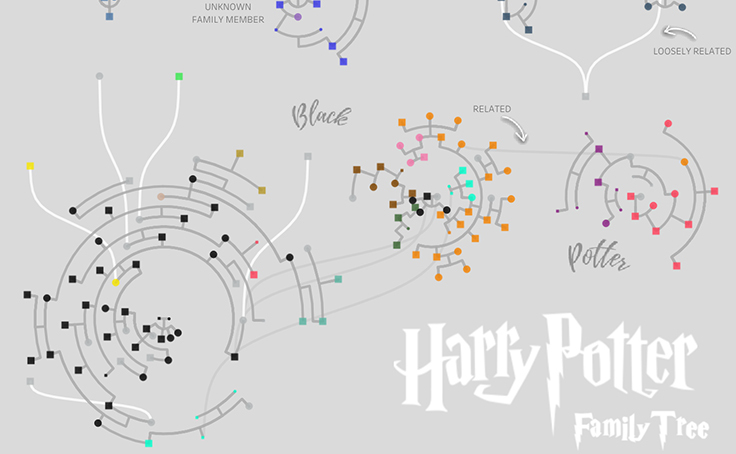 In August, data wizards everywhere loved Alex Jones's interactive Harry Potter family tree. Have you explored this magical visualization yet? 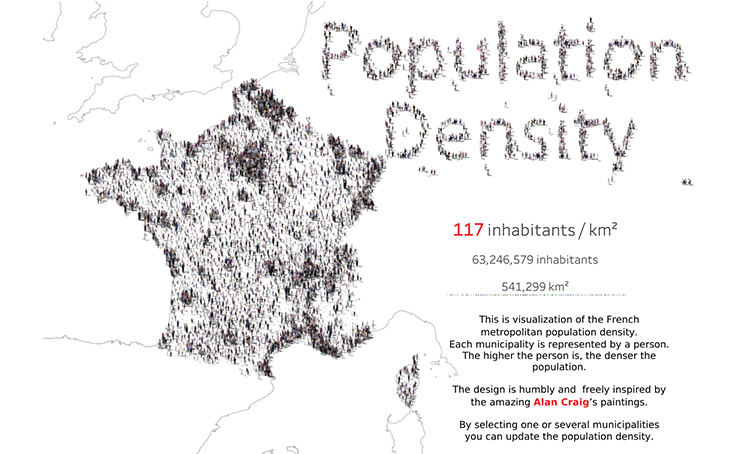 Marks in this viz are unique people, a design choice that accentuates Simon Lafosse's analysis of population density in France. Incredible! Iron Viz 2018 champion Timothy Vermeiren shows the effects of one's position on Earth (left) and the position of Earth (right) on how we experience weather. Be sure to check out Timothy's winning viz, as well as vizzes from finalists Ludovic Tavernier and Corey Jones. The release of Tableau Public 2018.3 catalyzed innovation from across the community. 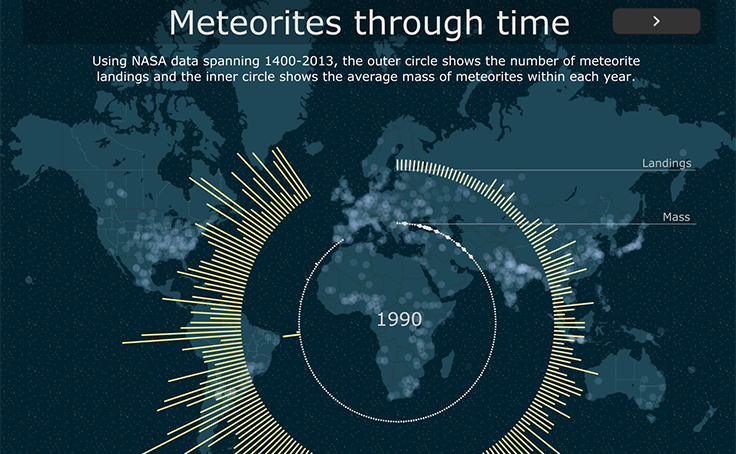 Ellen Blackburn's viz uses the density mark type, set actions, dashboard buttons, and transparent sheets to visualize meteorite landings across the globe. For more inspiring uses of these new features, check out our 2018.3 Gallery. Data can help answer all sorts of questions — even whether or not you're dating the right person! 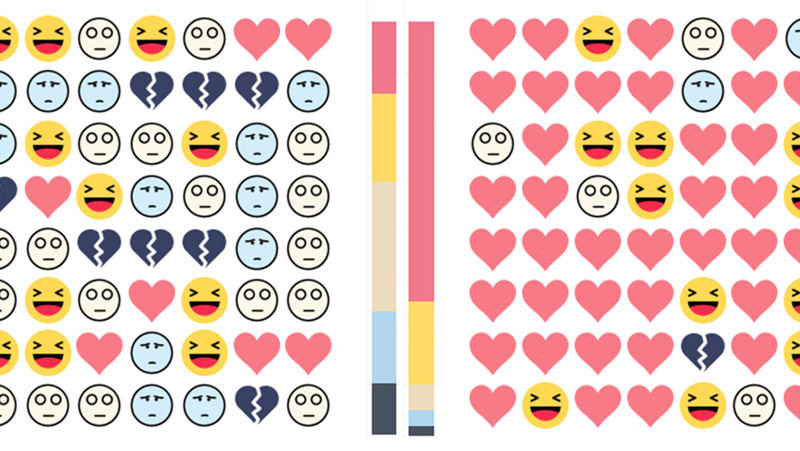 Chee Ann here visualizes how two different relationships affected her daily moods. Can you believe that this was her first Tableau Public viz? And that’s a wrap! Cheers to an amazing 2018, made possible by Tableau Public users like you. Be sure to subscribe to the Viz of the Day gallery — another year’s worth of inspiring vizzes await! Want to dig deeper into your year in Tableau Public? Josh Tapley created a viz that helps you see your top Tableau Public vizzes from 2018. Explore the viz, then share your top vizzes of 2018 on Twitter with the hashtag #VizInReview. Editor’s note: Each month’s top VOTD was determined by unique pageviews within the Tableau Public gallery, not each viz’s total views.